FASresearch analyzed who is exerting and receiving the strongest lobbying pressure in the European Commission. 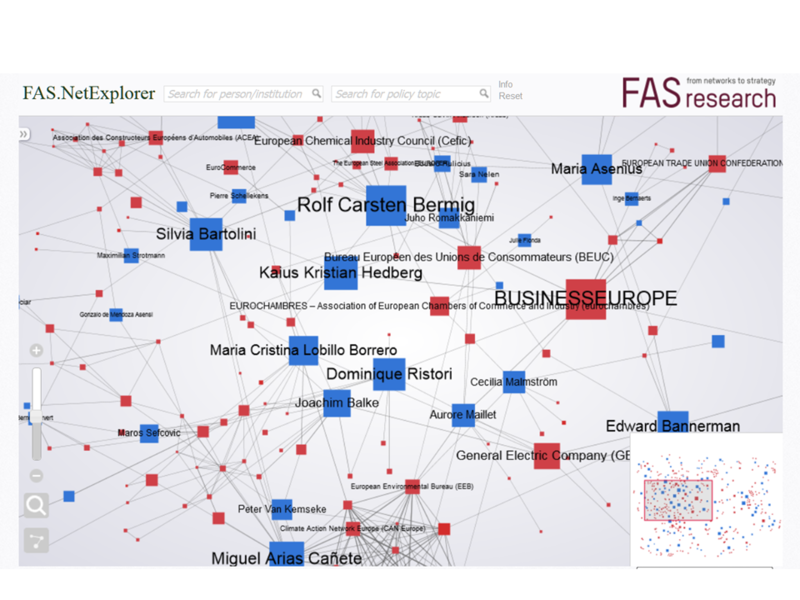 The network is based on the meeting data published by commissioners & cabinet members (in blue) and on institutions (in red) in the EU’s transparency register. It shows both which commissioners and institution is meeting most often, but also exposes the network between institutions that participate in meetings together.